Celadon is a type of Chinese porcelain ware with a light blue-green shade. It is also known as greenware. The word is probably a corruption of the name Sãlãh-ed-dîn or Saladin, the Sultan of Egypt, who is said to have given forty pieces of celadon wares to the Sultan of Damascus in 1171. It is sometimes suggested that the name derives from the colour of the costume of the shepherd Céladon, main character of L’Astrée, a famous 17th century French novel. 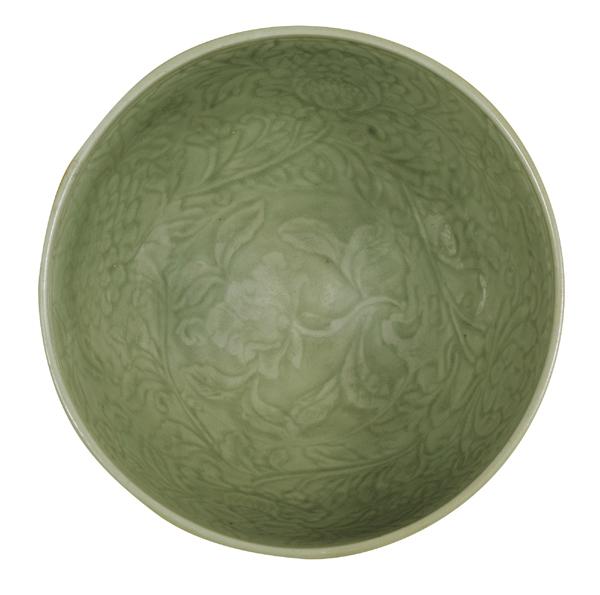 The Chinese word for celadon is Doh chin which means green bean glaze, while the Japanese name is Seiji.